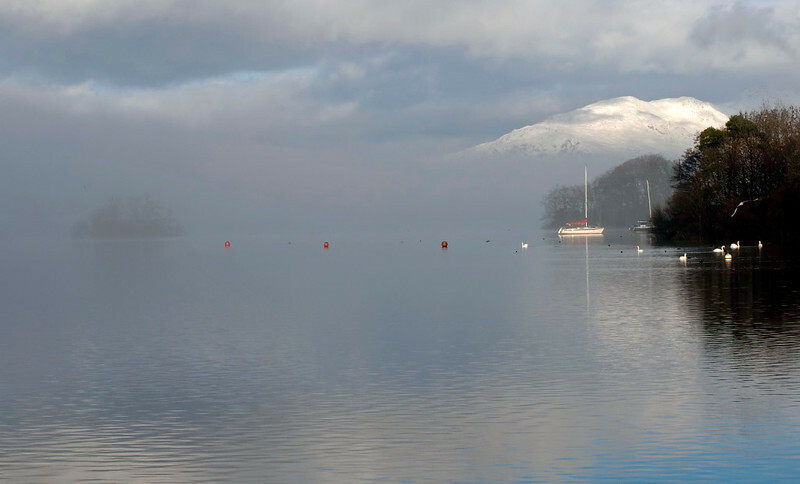 19 photos of Lake Windermere and the Cumbrian fells on a cold January day in 2009. Windermere, looking north from Bowness, 23 January 2009 1 - 1022 Heron Pike and Great Rigg, on the western arm of the Fairfield horseshoe, rise above the mist. A very enjoyable set of images that capture the feel of "a cold January day". This one hooked me and made me want to view the rest, and I'm glad I did. Even though it isn't the best for showing the surrounding fells, it sets the tone.